What's the weak link in many of the creations on Houzz? Inferior Photography. You've invested time and money creating your project or design. One look should be all it takes to generate interest. That's my specialty - Architectural & Interior Photography. Client's commission me for photography because I help their projects come to life. Need aerial imagery or video? I am an FAA certified as a commercial UAS (Drone) pilot for Aerial Photography & Video. My services are a great fit for architects, builders, designers, hospitality, & general contractors. Great photography will help you generate more activity. Many of my assignments are in Greater Nashville, Brentwood & Franklin. I also travel for assignments nationally and internationally. We believe in partnering with a handful of industry leading realtors and custom home builders to ensure the highest quality imaging products for your listings and marketing. We are driven by quality, not volume. 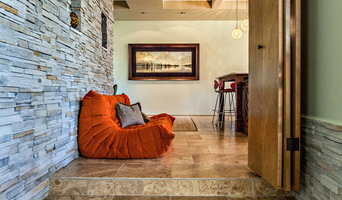 I specialize in photography of interior design, providing dynamic images that differentiate and communicate quality. I strive to capture an interior’s ambience and represent interior design as a work of art. Art to be used for content in advertising, web sites, portfolios, brochures, publishing, publicity, Houzz and many other uses. Pro Media Tours specializes in capturing and producing true magazine quality architectural, interior, and Real Estate photography. We've developed photo-capture methods in which we are able to produce stunning imagery while keeping pricing affordable for most project budgets. Pro Media Tours uses photography, video, and websites to help you tell your business, project, or personal story. Chris McCarthy is a photographer living in Nashville, TN with his husband, Taylor. He provides a range of architecture photography services, including real estate, interior design, and property management photography. We specialize in photography for real estate including; residential, commercial and architectural detail. Born and raised in Palm Springs, Lynsey developed a love for mid-century architecture and high-end photography. Upon relocating, Lynsey quickly realized that a high-end solution for agents and brokers was unavailable in Middle TN. In 2008 SQFT was founded to provide local builders, brokers and agents with a magazine cover quality option. Steven Michael Photography and Art specializes in one of a kind creations to enhance any home or office. Design your space with one of a kind Fine Art Photography. 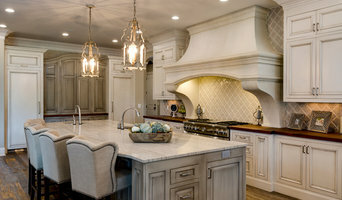 Nashville-based interiors, architectural & lifestyle photographer. - Architectural Photography Services - Schooled in interior design, naturally persistent, exceptionally thorough. All images delivered digitally for you to use/print/distribute as you wish. Nicholas McGinn has a life-long interest in construction and architecture. Before becoming an interior photographer, he worked as a contractor with a prominent Nashville construction company. Photography extends back five generations and he is proud to continue the tradition. Nicholas has built an impressive portfolio of commercial, residential and institutional photography for clients across the country. Nicholas professional experience as a contractor has suited well to photography the natural and structural environment. His photographs capture detail, design and refinement that best illustrates every designers uniqueness. Nicholas values relationship input and finds it essential for successful photography. His OCD and meticulous attention to detail throughout the project will be above and beyond clients expectations. We provide high caliber photo and video marketing assets for real estate professionals - of any stripe. Sales firms, developers, FSBOs, house-flippers, landlords, architects, and designers reap a substantial ROI from DOMOPHOTOS' high-quality products. Houses, like people, are diverse. So we scale - our products to you and your customer. If you’re selling a perfect $2.7m house - we have you covered. If you’re selling a foreclosure ’work in progress,’ we’ll find the best angles to reveal its perfect potential. Fielder Williams Strain graduated in 2004 from Western Kentucky University with a degree in Photojournalism. He worked for five years as a Newspaper photographer in both St. Louis, MO and Austin, TX before moving back home to Tennessee in 2009. For six years he was manager of three trendy east Nashville restaurants and was in charge of advertising, marketing and media. In 2014 he decided that, although he wanted to take it in a different direction, he could no longer avoid the pull of photography. Since then he has been spending all his time mastering his skills in photography and Photoshop in an attempt to surpass simple competence to achieve photographic art that makes every product, building or food look both beautiful and powerful. Before you call any potential photographers, make sure they have good references. Friends who've sold or rented homes before are great resources, as are local real estate agents. Look through each Tennessee photographer's online portfolio to make sure what you're looking for is being offered. Once you've done that, it's a good idea to walk around your home and write down exactly how many and what types of shots you'll need. Include any specifications you might have, such as angles, things to consider about your home’s Nashville, TN site, the time of day you think will be best and aspects of your home you want to highlight. Find a home photographer on Houzz. Narrow your search in the Professionals section of the website to Nashville, TN photographers. 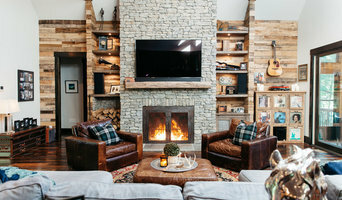 You can also look through Nashville, TN photos by style to find a room you like, then contact the professional who photographed it.